YO! 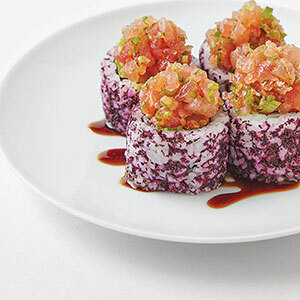 Sushi’s food is fresh, seasonal and prepared daily by trained chefs. With a selection of Japanese inspired dishes to choose, direct from the conveyor belt there really is something for everyone. Hot, cold, sweet or savoury YO! Sushi are stacked with delicious offerings so you can enjoy eating straight away. And the colour-coded pricing system means you can control how much or little you spend. There’s no faster way to enjoy nutritious delicious food instantly.